← I Wish Tim Lincecum and Brian Wilson were Awful Pitchers. They’re not. Man, ball players will do anything to get inside the head of their opponent. 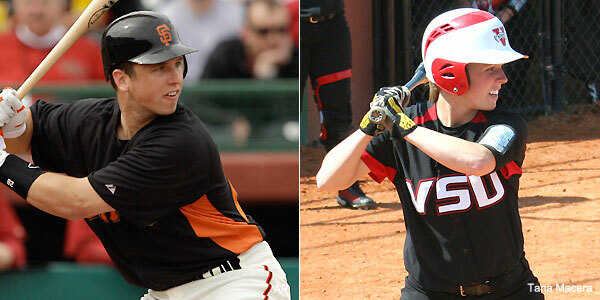 San Francisco Giants catcher Buster Posey’s little sister, Samantha Posey, a college softball player at Valdosta State, hit for the Home Run Cycle. Heh? The Home Run Cycle? What the hell is that? 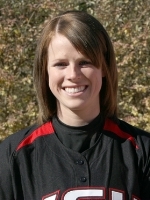 Yeah, in a double header, she hit a solo blast, a two-run HR, a three-run HR, and a grand slam. Here’s how this went down last week… Riiiiiiing. This entry was posted in Baseball, MLB and tagged Buster Posey's little sister, Giants, Home Run Cycle, Jody Gerut, Jr, Rookie of the Year, Samantha Posey, San Diego, San Diego Padres, San Francisco Giants, Tony Gwynn, Valdosta State, VSU. Bookmark the permalink.